Invented by a salon client who was concerned not about cancer, but about developing sunspots, the Youveeshield blocks 99.9% of the UV light. Easy to use and disposable, it provides slits to place your fingers in that expose your nails, and the nature of the material allows it to grip your finger right under the cuticle, says Renee Albera, president and founder of Youveeshield. 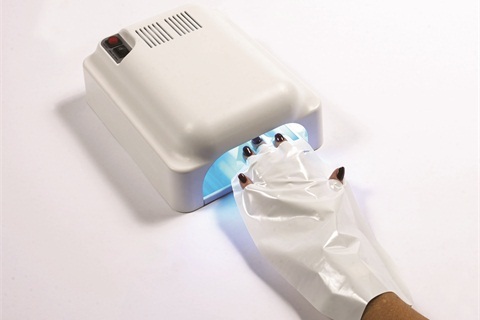 If you’re looking for a solution with a bit of style, take a look at GlamUP Gloves. 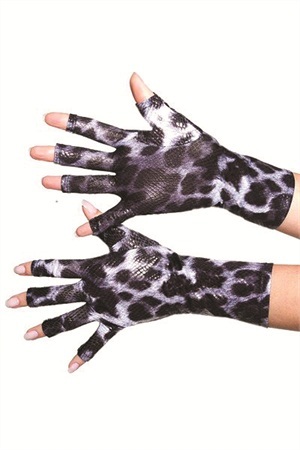 Developed by celebrity designer/stylist Sterling Capricio, these tipless gloves feature fashion trends including animal prints, hot pops of colors, and abstract patterns. For more information on Youveeshield, go to http://www.youveeshield.com/. For more information on GlamUP, go to http://www.glamupgloves.com/.